Let’s face it – today is an absolutely crucial day for small business owners. American voters go to the polls to determine who becomes the next president of the United States. And whatever happens will significantly affect small business owners for years. From financial products to employment to taxes to healthcare insurance – this is massive and there’s not a business owner out there who’s not only aware of the impact, but who is hoping the light at the end of the tunnel soon emerges. Earlier this year, many analysts as well as the Obama Administration insisted small business hiring would be up by at least 22% by the end of the year. Small business owners were hopeful, but as we near the end of the year, not only have those numbers fell short, but in both September and October, there were 10,000 jobs cut by small business owners around the country. Creating close to one million jobs would put a meaningful dent in the unemployment problem. This tax cut is not a cure-all, but it could be a difference-maker for small firms on the fence about adding payroll. After last month’s sluggish jobs numbers, we may be on the verge of a rare moment of agreement on how to help the economy. Wondering what happened to it? Predictably, the Pubs and Dems were more interested in bickering. That means this, and hundreds more, bills stalled. These and other facts have resulted in small business owners resisting traditional loan avenues. Instead, many are opting for credit cards with low APR, no annual fees and rewards programs. 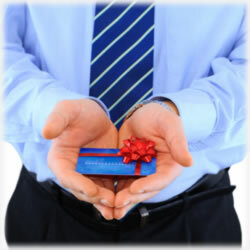 To that end, we’ve explored the many business credit card offers currently on the market. Here are a few choices that are versatile enough for any size business but that are also small business friendly. This Chase credit card offer was designed for business owners who need flexibility. Earning rewards is no problem and the opportunities for bonus points make this a fine choice for business owners. Enjoy 10,000 bonus points after your first purchase and you’ll also earn 5x the points on your first $25,000 each year for office supplies, technology or communication expenses such as phone bills. There’s no annual fee and you’ll also enjoy a 6 month 0% intro for both purchases and balance transfers. Three words: tons of benefits. This AMEX Business Platinum Card offer delivers in a big way. Once you’re approved, you’ll be able to select an airline that will allow you to receive up to $200 every year for things like in flight refreshments, change fees and checked bag fees. Around the clock concierge services, airport club access and no pre set spending limits make this a remarkable offer for small business owners. The U.S. Bank FlexPerks cash rewards business card has an impressive 0% intro APR for fifteen months on all your purchases. Not only that, but you’ll earn 3% cash back on your mobile phones, gas and office supplies. All other purchases pay 1% in cash rewards. There’s no annual fee as long as you make one purchase a year. If not, the annual fee is an easy $25. There’s also a $0 fraud liability, too. Applying is easy and you’ll get an instant decision. Another great option for small business owners is found in the Capital One Spark Miles Select. Capital One has become a versatile card network that quickly became the credit card of choice for millions of consumers. With this business offer, you’ll up the ante with cash back when Capital one gives you a 50% bonus on the total cash back you’ve earned on an annual basis. Currently, there’s a 0% APR on your purchases through May 2013. Manage your business easy with the online quarterly and year end summaries and for those who travel, you can choose any airline with no worries about black out dates or even seat restrictions. These are just a few of business credit card offers that small business owners are choosing. The truth is, no matter how much we predict in terms of the economy and even on election day, we simply don’t know what lies ahead for this country. Every advantage business owners can grab is a no-brainer. The right credit card can provide security to a business, especially when a bank loan is something business owners are trying to avoid until they have a better idea of how the economy will play out. Are you a small business owner? How have you handled the uncertain economy?